I will begin by saying I am NOT the expert on older beginners. 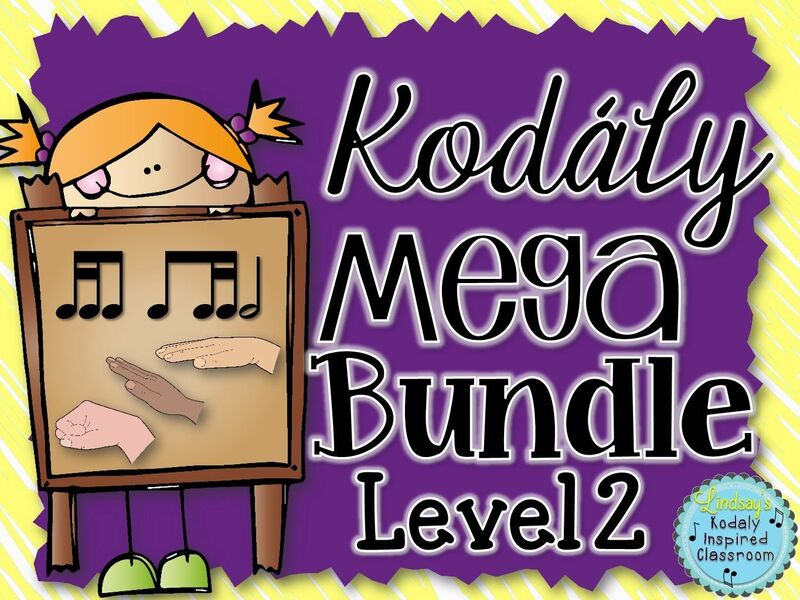 I was only in my second year of teaching when I started at a new school with grades 1-5 where the teacher before me was not a Kodaly inspired teacher and music literacy was not a priority. 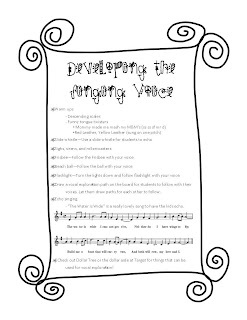 When I came into this school my students had no method of counting rhythms and had never heard of solfege. I had just completed my level 1 training and during my first year teaching I only saw grades K-2 so the upper grades were pretty new to me. I knew I wanted to teach them music literacy and I also knew there was no way I was going to accomplish this with songs like "Starlight, Starbright". I started searching for best practices for teaching older beginners. I looked for games they would love and ways to trick them into singing. 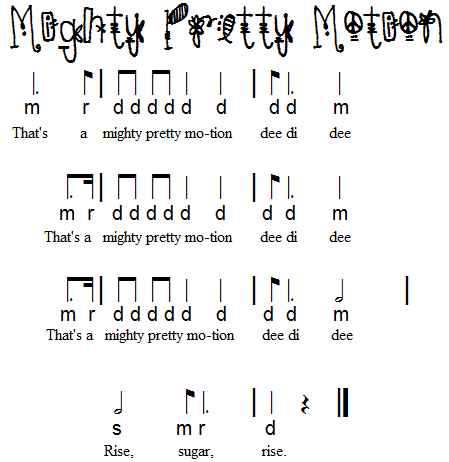 My first year I really devoted to learning to read rhythms and getting used to singing beautifully without the crutch of CDs or piano. 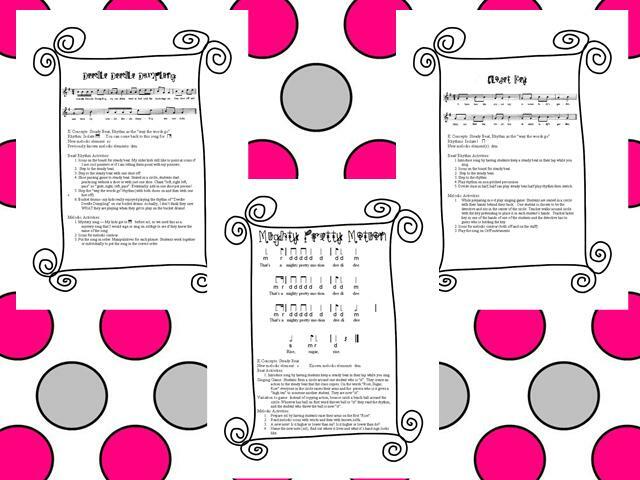 This year we have really taken a dive into melodic concepts starting with mi-re-do and I think thet are surprised by what they are now able to read and analyze! 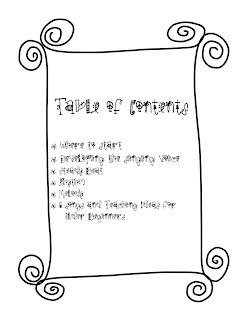 I think a good starting place is one that lays a foundation for future concepts through games, nurtures the singing voice, and develops a sense of steady beat. 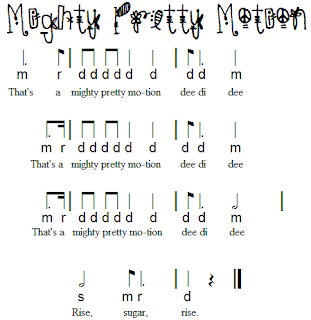 I have also found that m-r-d is a better starting place for older beginners than sol-mi since more of the age appropriate music begins and ends with m-r-d. 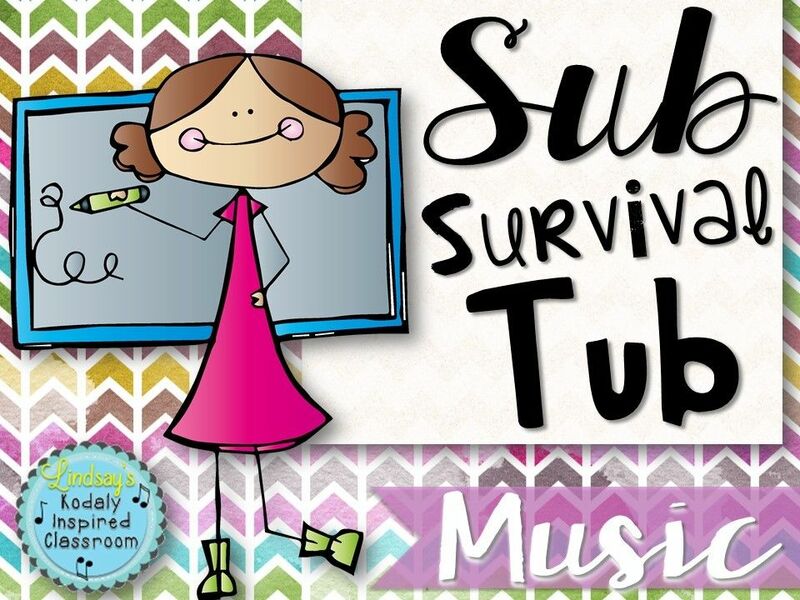 I am sure there are other teachers out there with similar situations, whether they are in a new school or just starting to take their levels training, so I compiled some of my kids' favorite songs and activities for those basic concepts. 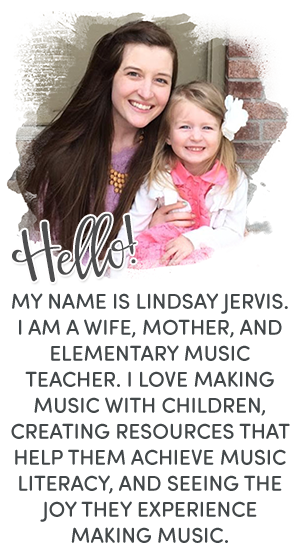 I know I would have really loved to have these resources when I started out! 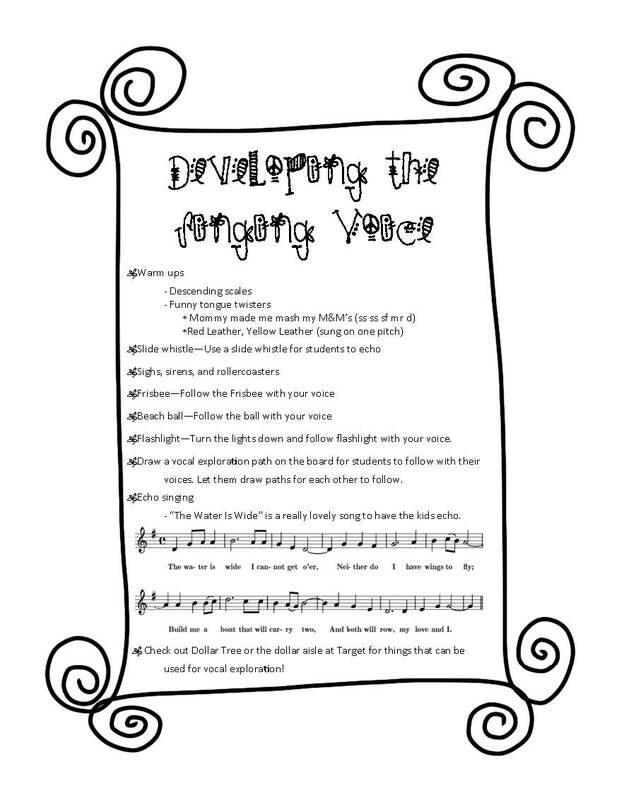 I have included 6 songs like the following and activities that I have done with my older beginners. 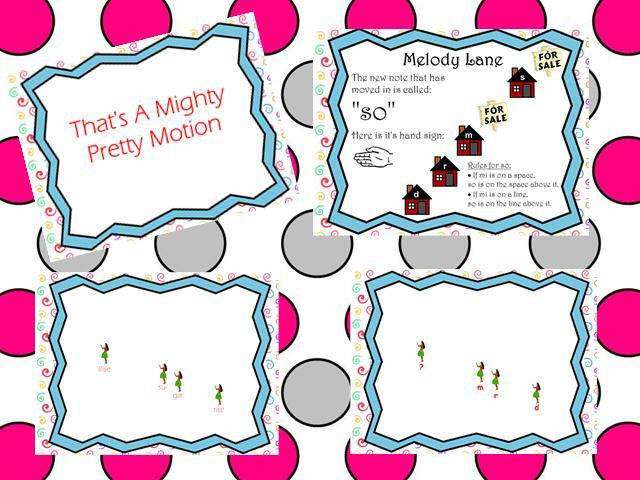 I have also included 26 slides for the song "Mighty Pretty Motion". 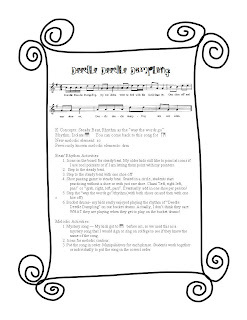 It can be found in 150 American Folk Songs to sing read and play. My kids really enjoy the game that goes with it. 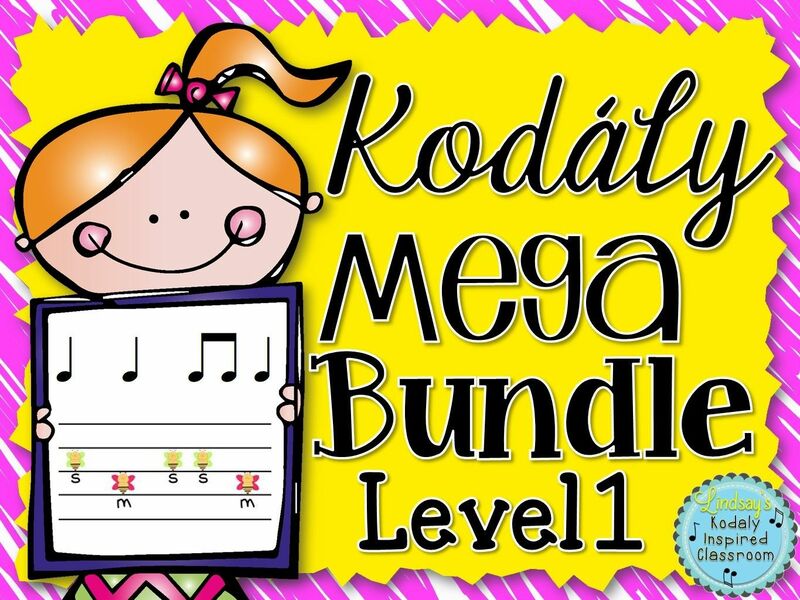 This packet for older beginners is available on my teachers pay teachers store here. It is by no means a complete comprehensive method for older beginners but more of a tool or starting place with ideas that you can build upon. 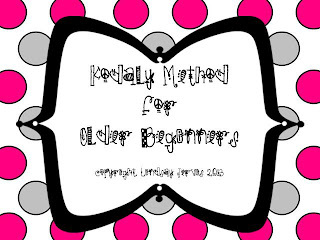 Comment below if you have other great ideas for older beginners! I am always looking for things to do with my 4th and 5th graders until we are "caught up". I needed this today. Thank you so much! I just finished my levels and received my certification in July. Like you, in my first few years, I had only taught K-2. 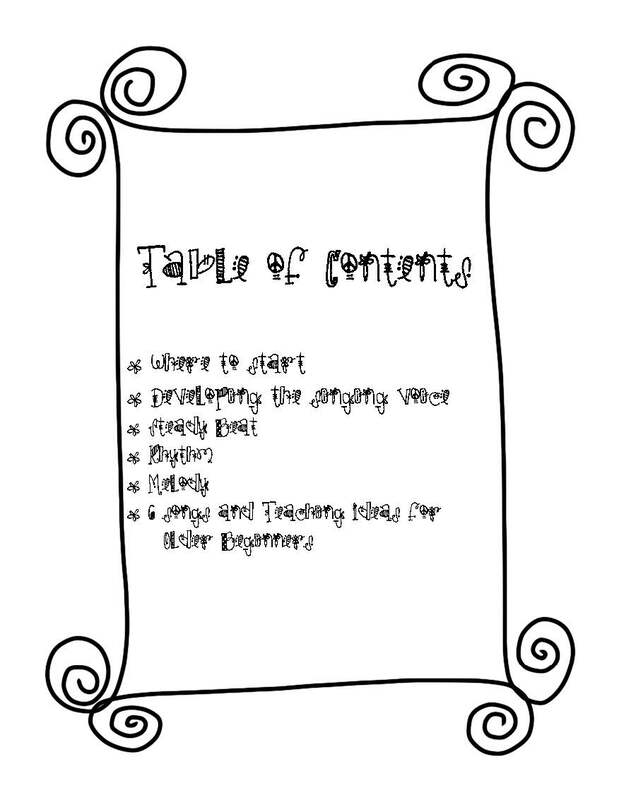 This year I am teaching in a K-4 school where music literacy was not a priority in the past and my fourth graders are reading and analyzing music at a first grade level. I have been trying to find a way to teach literacy without using "Starlight, Starbright" and this have given me a place to start. Thank you, again!